Memory Myths: How Much RAM Is Enough? It’s tempting to always get the biggest and fastest memory kit, but how much RAM do you actually need? Component lifespans are usually pretty easy to track. Processors get higher clock speeds, more cores, and smaller silicon; graphics cards get better clocks, more transistors, and bigger heatsinks; and storage gets bigger and cheaper. Memory is another component that’s constantly evolving: faster speeds, bigger quantities, more channels. Conventional wisdom suggests that adding faster and larger amounts of memory will allow games and applications to run faster, but that’s not always the case, which is why we’ve examined this murky situation. Computer memory is currently divided into two main types: DDR3 and DDR4. The former is older, having debuted back in 2007, while the latter only hit the mainstream recently, with Intel’s X99 platform in 2014, and more recently with Skylake's Z170 platform. They both work using the same principle: DRAM chips store data that the computer needs immediately, but it’s lost when it’s no longer useful or the PC is turned off. It’s governed by several common attributes: Larger amounts mean more data can be stored, and higher MHz ratings mean the memory runs at a faster speed, so data moves in and out more rapidly. The newer standard, DDR4, has several advantages over DDR3. It runs at a higher frequency, so it’s able to process tasks at a faster rate: DDR3 is generally clocked between 1,333MHz and 2,400MHz, while DDR4 ranges from 2,400MHz to 3,200MHz and beyond. It’s possible to blur these lines with overclocking, but, for the most part, DDR4 is faster. It balances those better speeds with more efficient power consumption, and its chips have double the internal memory banks, faster burst access, and higher data transfer rates. DDR4, however, does have one downside. That’s increased latency. Newer DDR4 2,133MHz memory has a latency rating of CL15, which means it’ll take 14.06ns to perform a read, while DDR3 1,600MHz memory reads at 13.75ns. That’s a tiny margin, and DDR4 negates this disadvantage with its generally higher clock speeds. Nevertheless, if you’d like to keep an eye out, look for CAS ratings. This indicates latency, and lower is better. No matter which memory you buy, you’ll have to deal with channels. Dual- and quad-channel setups are the most popular and improve performance by allowing motherboards to use multiple channels to send and receive data simultaneously, thereby improving bandwidth. It’s possible to run memory in single-channel mode, but there’ll be a performance decrease if you run a single stick of memory rather than two or four. Different locations of the key notch (on the insertion edge of each DIMM) prevents a DDR3 or DDR4 stick from being installed into an incompatible board or platform. The variety of different specifications means that prices vary wildly. The cheapest 16GB DDR3 kits made from two 8GB sticks currently cost about $90, but the most expensive can cost more than $300. It’s a similar story with DDR4, where dual- and quad-channel kits also vary by huge amounts when it comes to price. But these will generally be more expensive than their DDR3 equivalents. Manufacturers claim that the increased speeds and better features provided by pricier memory will make a dramatic difference to performance, but we’re not so sure, so we’ve set up some test rigs to find out just how much memory you really need. Both of the test rigs we've set up use MSI motherboards. One uses Intel’s Z97 chipset with a Core i7-4770K processor, while the other is an X99 rig with a Core i7-5820K chip. Both use operating systems installed on a Samsung 850 Evo SSD, and both use an Nvidia GeForce GTX 980 graphics card. We’ve already mentioned the different processors and chipsets that work with DDR3 and DDR4, but there’s more to choosing components than just making sure your new gear is compatible on paper. Intel’s Haswell architecture is behind the bulk of its current desktop processors, and it supports up to 32GB of dual-channel memory. It’s used for chips that range from cheap Celerons and Pentiums to more expensive Core i5s and i7s, and these desktop Haswell chips all plug in to the LGA1150 socket. Most Haswell-based processors are deployed with mobos that have Intel’s H87, Z97, and Z87 chipsets. When it comes to memory support, they’re all impressive. 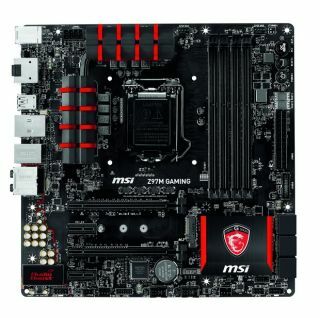 They handle four slots that accommodate two sets of dual-channel memory, and most full-size ATX boards also support 32GB or 64GB of memory at high speeds. Intel has further developed its architecture with Haswell-E. Chips that use this system also use the LGA2011 socket and X99 chipset, which means that support for DDR4 is included. That in turn means support for faster memory speeds when compared to DDR3, and the X99 platform is quad-channel. AMD’s processors and APUs, meanwhile, use the Piledriver architecture. Its own memory controller was given a speed boost over the previous generation of AMD hardware, but memory support ultimately still isn’t as good on this side of the fence. All of AMD’s current chips support DDR3 memory, however, some of them are restricted to 1,600MHz or 1,866MHz memory, while only a handful officially top out at 2,133MHz (though some enthusiast mobos allow you to overclock the RAM to higher speeds). Like Intel mainstream platforms (LGA1150/1151), these boards support dual-channel memory.